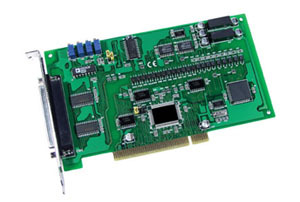 The OME-PISO-813 is an isolated 12-bit A/D board for the PCI bus for IBM or compatible PC. It features a 10 KHz data acquisition rate under DOS and Windows. The OME-PISO-813 provides 32 single-ended analog inputs and has 3000 Vdc photo-isolation from the PC (no channel-to-channel isolation). Software Development Kit The OME-PISO-813 is supplied with a standard software development kit for Windows 98/NT/2000/XP. The software development kit includes DLL files for programming in C, C++ or other high level languages and OCX files for Visual Basic or Active X programming. DasyLab and LabView drivers are also included. Each OME-PISO-813 data acquisition board includes complete operator’s manual on CD ROM and software development kit.